My mom’s love of sweets is well known in the family. At family potluck meals, she has been known to visit the dessert table first. We always had homemade cakes and pies in the house when I was growing up. She’s most known for her cakes, and I have previouosly shared her best cake recipes, like her German Chocolate Cake, 14 Karat Cake, and Five Flavor Pound Cake. We also had a lot of pies in the house, though Mom has never been into making homemade pie crust. You can still serve up deliciousness in a store-bought crust. 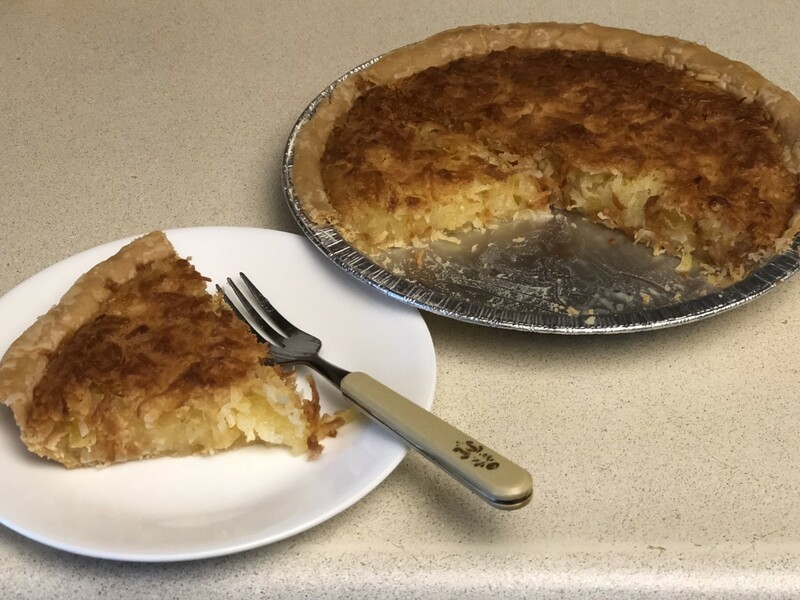 In this article, I’m sharing my top three most favorite of Mom’s pies. All of these are relatively quick and easy to make. 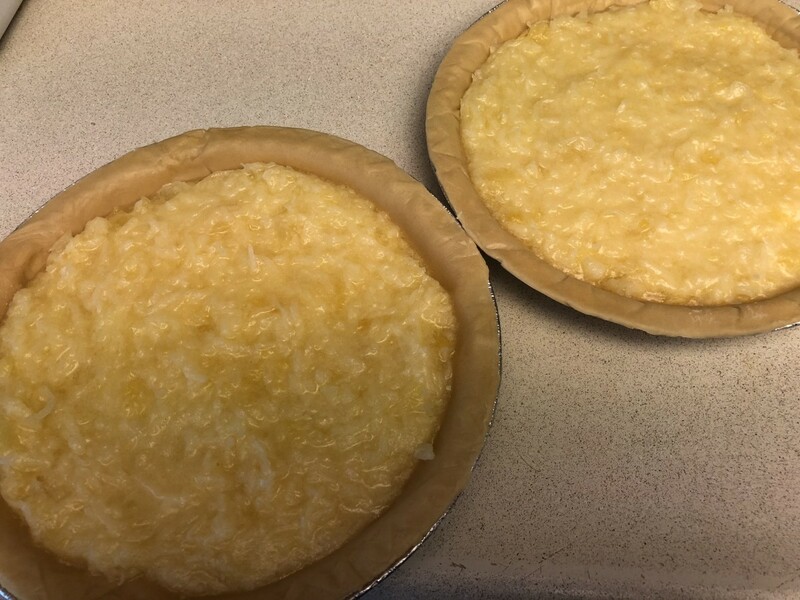 All three recipes yield two pies, and are made in shallow frozen pie crusts. 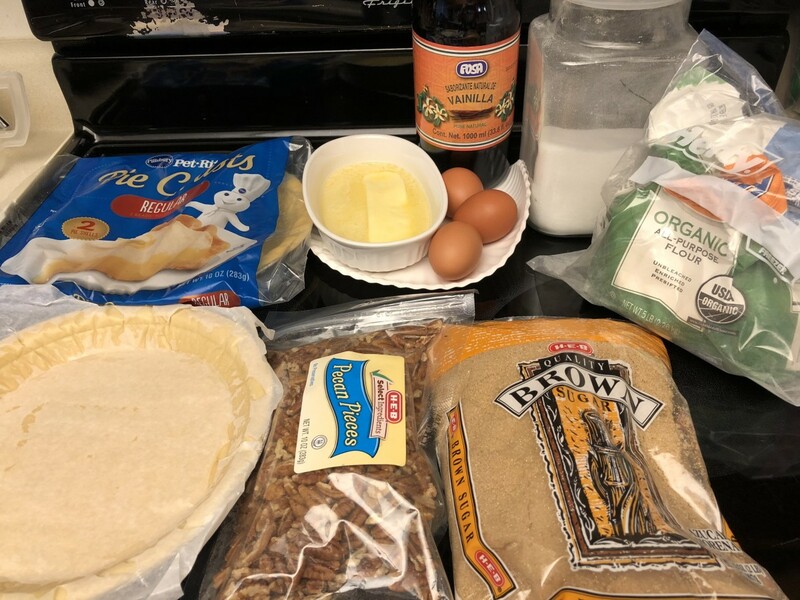 This pie has only 5 ingredients. It can be ready for the oven before the oven has finished preheating. This is a very different take on a fruit pie. 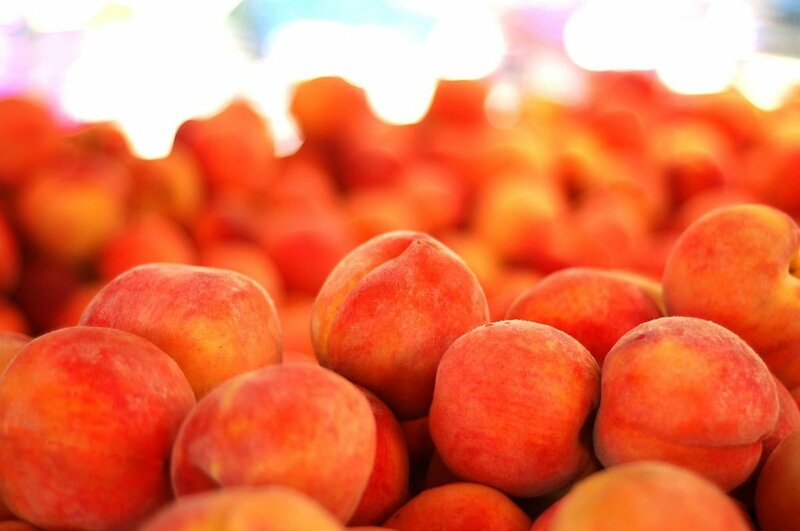 When I think of fruit pie, I think of cherry, blueberry, or apple pie, in the thick, sweet filling. 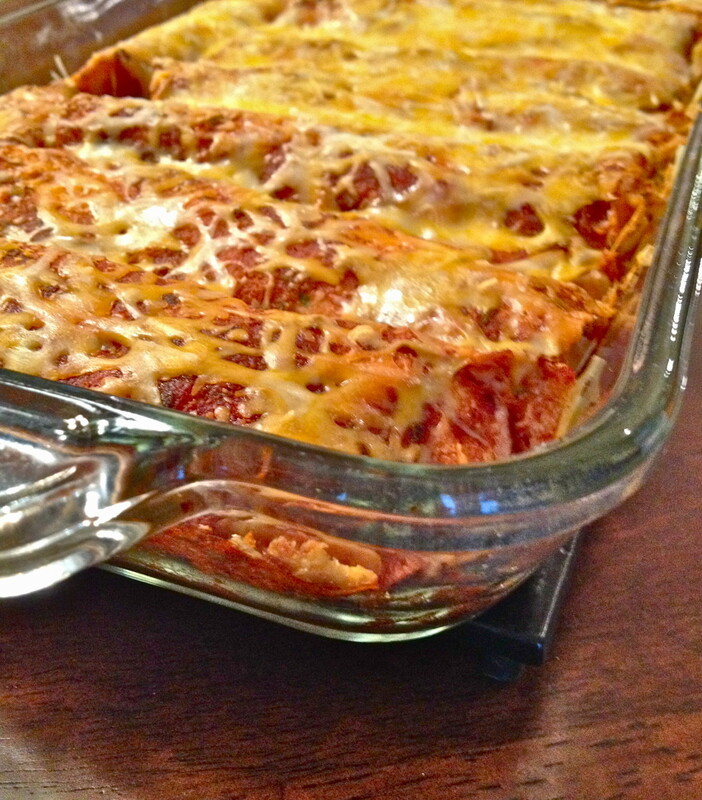 This recipe produces a relatively thin filling, but satisfying. 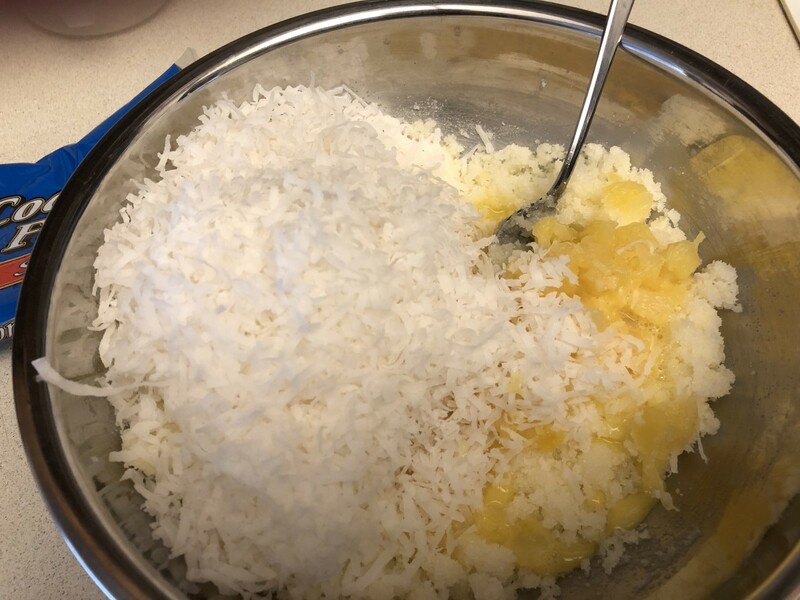 Melt butter and mix in sugar. I didn’t bother with the electric mixer. Pour evenly into 2 unbaked pastry shells. Bake at 325º about 60 minutes, until golden brown. 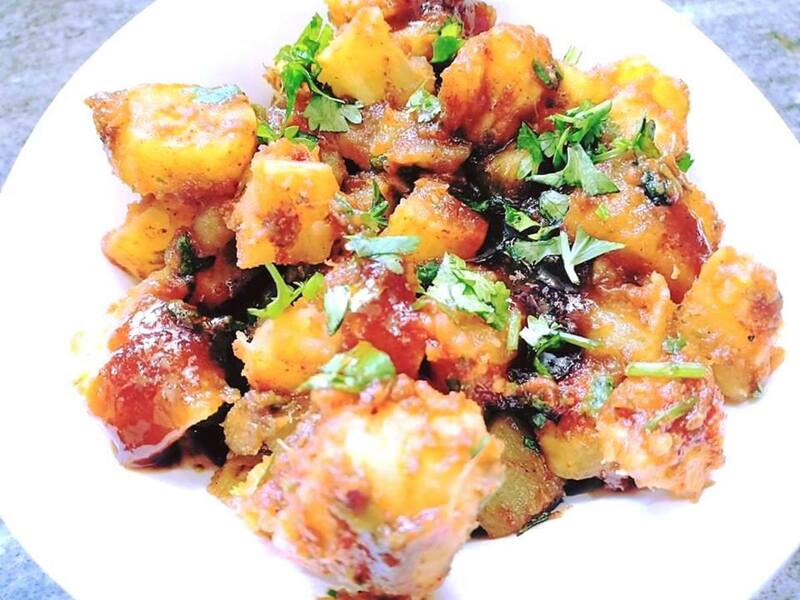 Boiling, then mashing the potatoes makes for a smoother texture than grating raw potatoes. All my aunts are great cooks, but Mom’s sweet potato pies are the best in the family in my opinion, and probably my favorite among her pies. She doesn’t use a recipe, an annoying trait of many great cooks. I had her look through some of her recipe books. 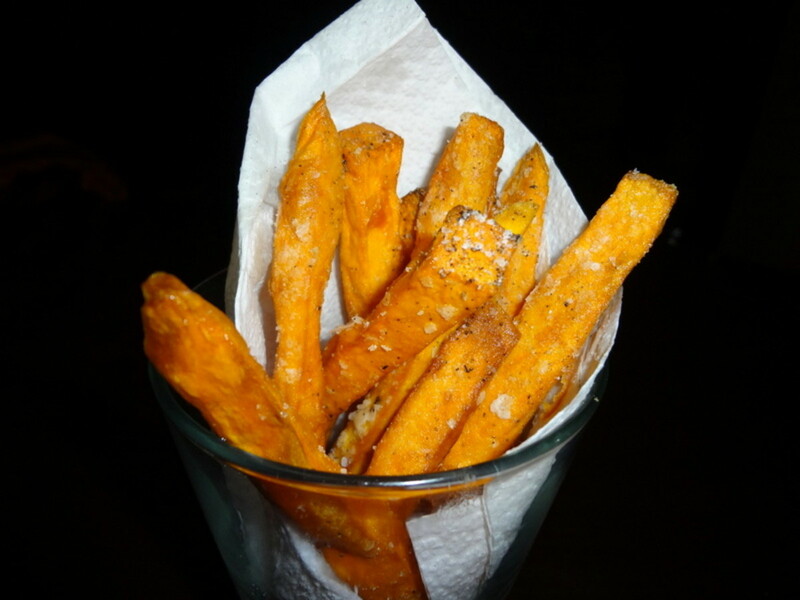 She found this recipe and thought it was close, but she emphasized she sweetens her potato batter to taste. Actually the secret seems to be to sweeten to the point that you think you just crossed the line of too sweet. After they are baked, they should be just right. Sometimes she makes sweet potato pies with heavy cinnamon, or with the addition of coconut. You can divide your batter, and have one of each. 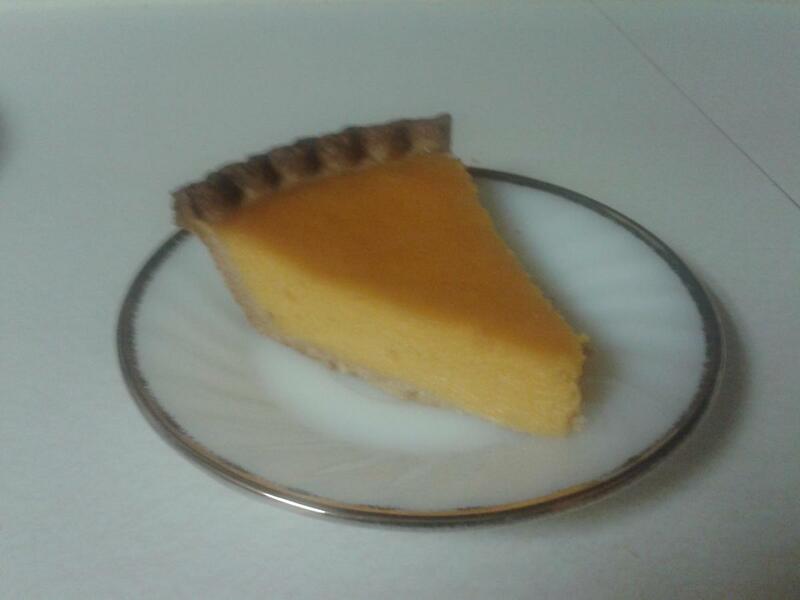 We had sweet potato pie often, but definitely at Thanksgiving and Christmas. 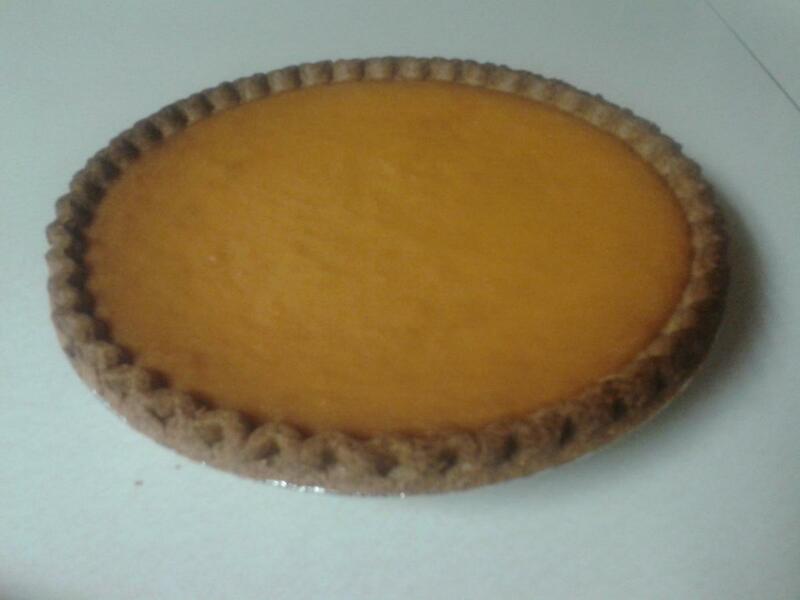 I think I was well into adulthood before I ever even tasted pumpkin pie. 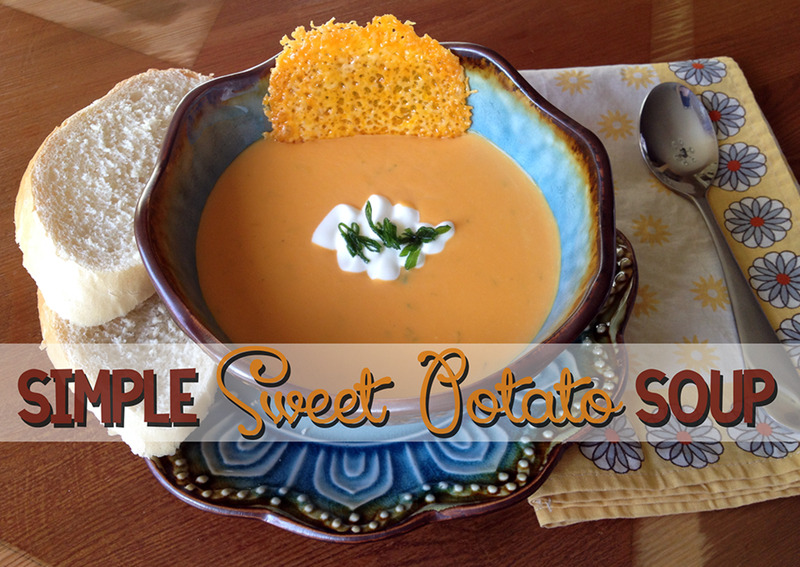 Peel the sweet potatoes and cut in chunks. Boil in water until tender. 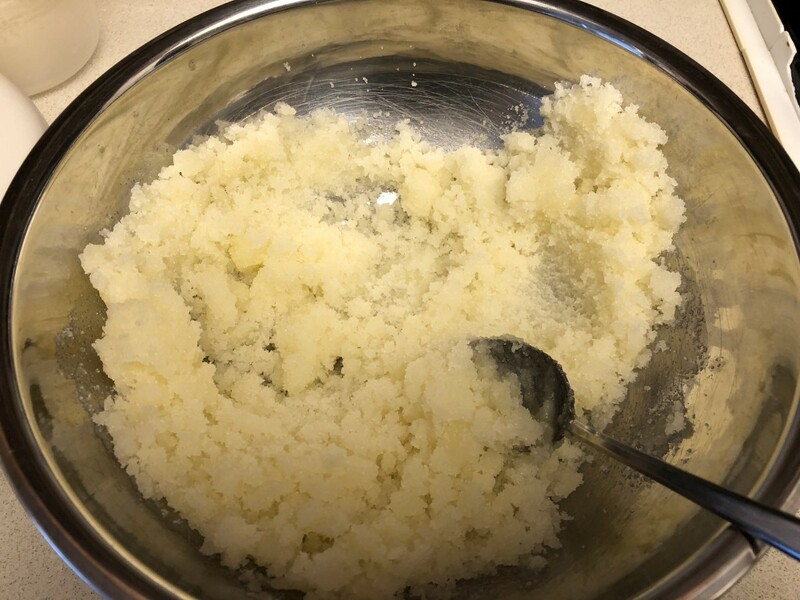 Use an electric mixer to beat potatoes until smooth. Add other ingredients. Beat until creamy. 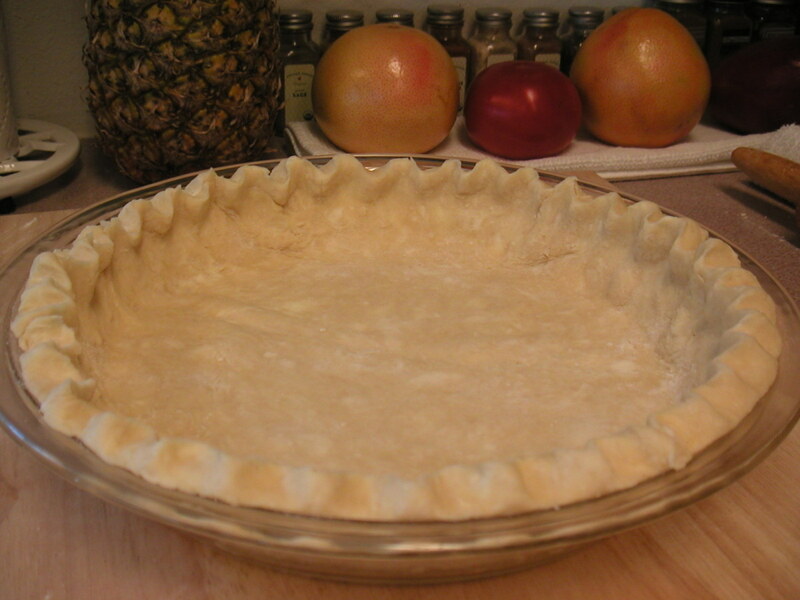 Bake for about 40 minutes at 350º, until crust is brown and middle of pie is set. 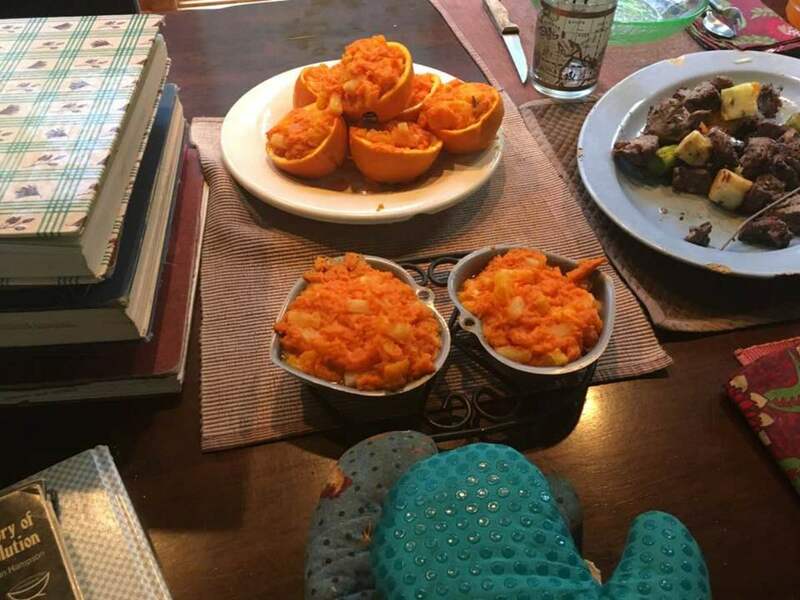 Mom cautions the cook time on sweet potato pies is tricky. The bottom is often doughy, so it may not be a bad idea to precook the crusts for 7-10 minutes. 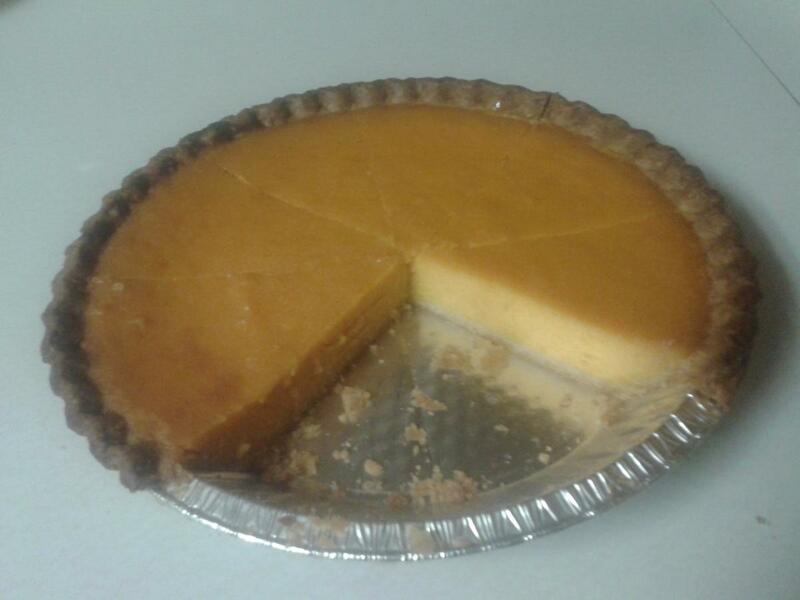 Mom insists brown sugar makes a much better pie than using corn syrup. In the South, we have pee-can pies, not pee-con. 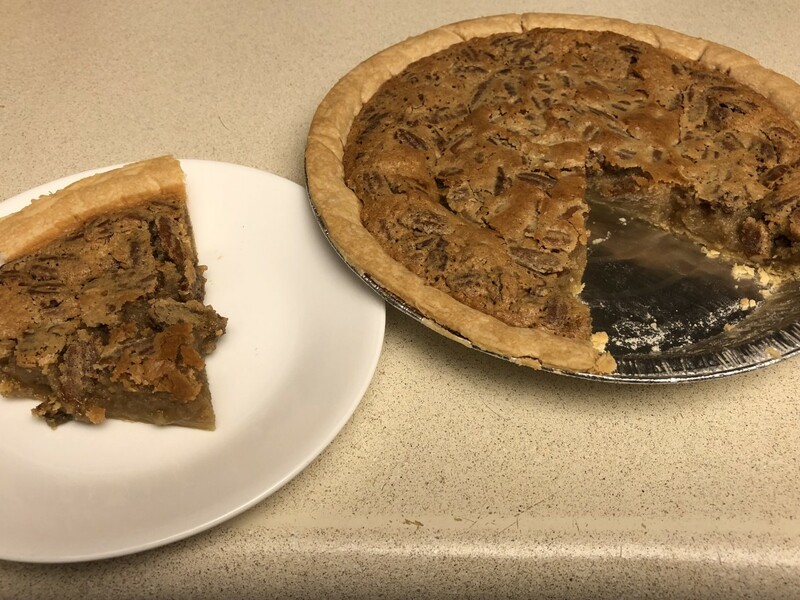 Although we often had pecan pie at Thanksgiving or Christmas, we had them throughout the year at our house. Mom is adamant that brown sugar is the way to go, not corn syrup. Stir together butter and sugar. You can use an electric mixer, but I didn’t. 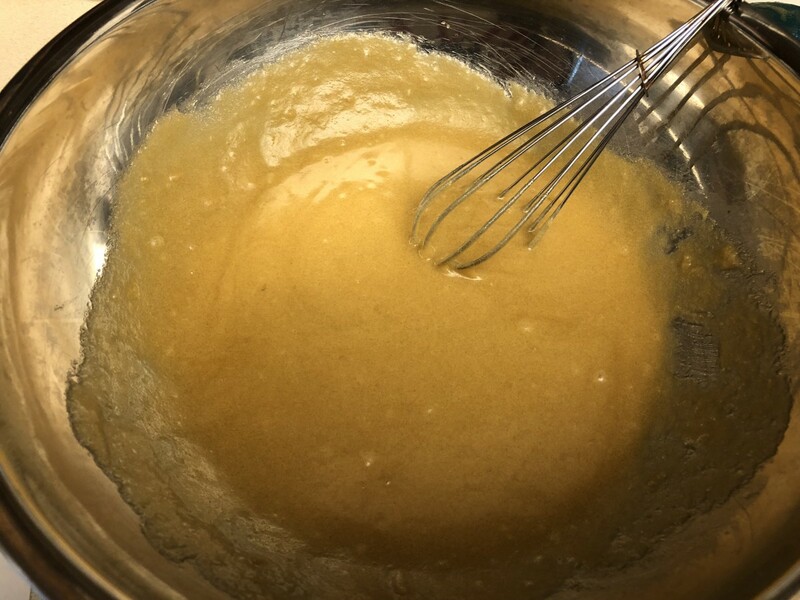 Beat eggs together in a separate bowl, then and add to butter-sugar mixture. 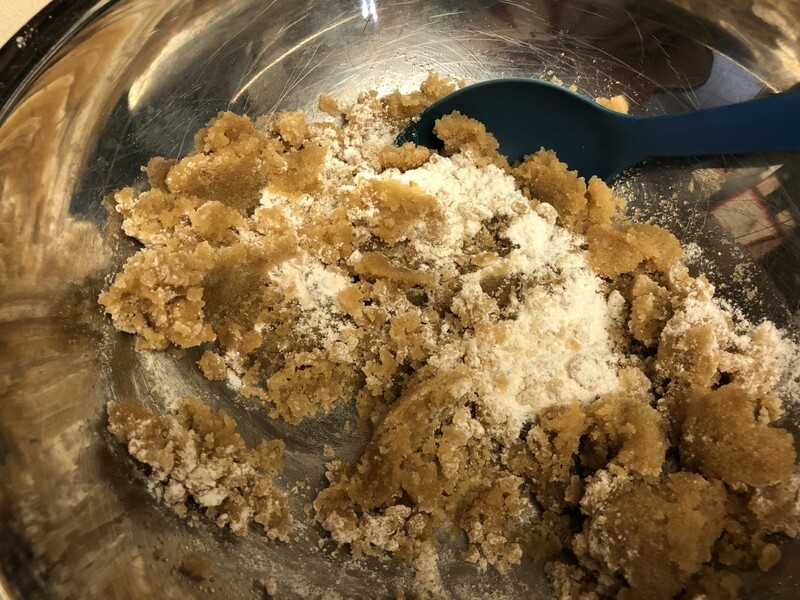 At this point I used a whisk, to make sure there were no flour or sugar lumps. Add milk, nuts and vanilla flavoring. Mix to combine. 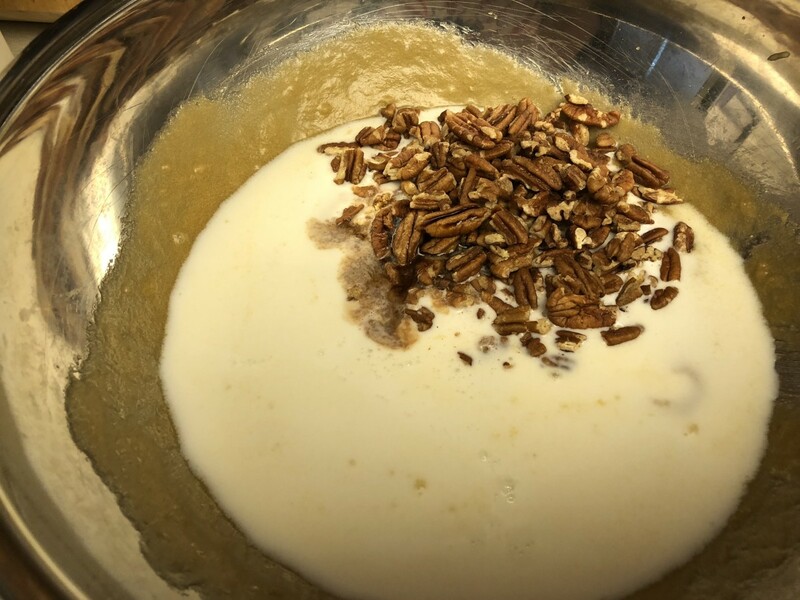 The recipe states 1 cup of pecans. 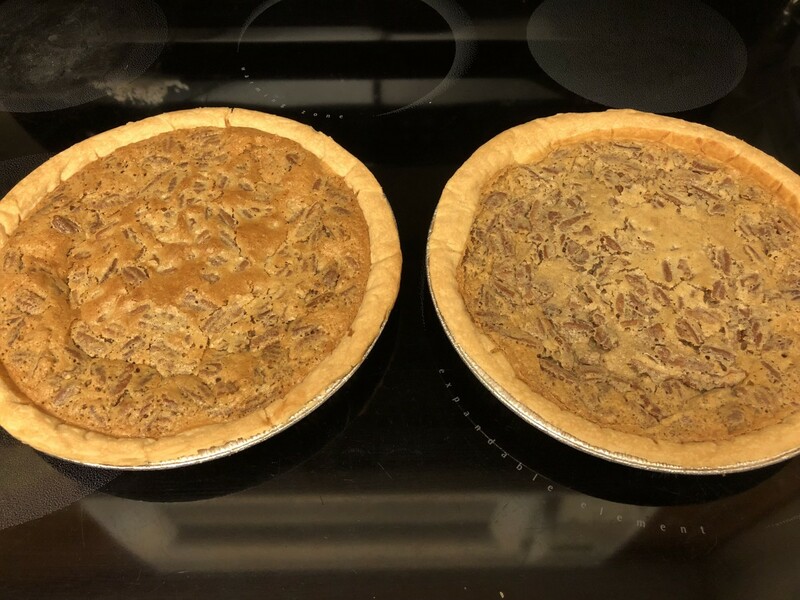 Mom must use more, because the top of her pies are completely covered in pecans. I will use 2 cups of pecans next time. Pour evenly into 2 unbaked shallow pie shells. 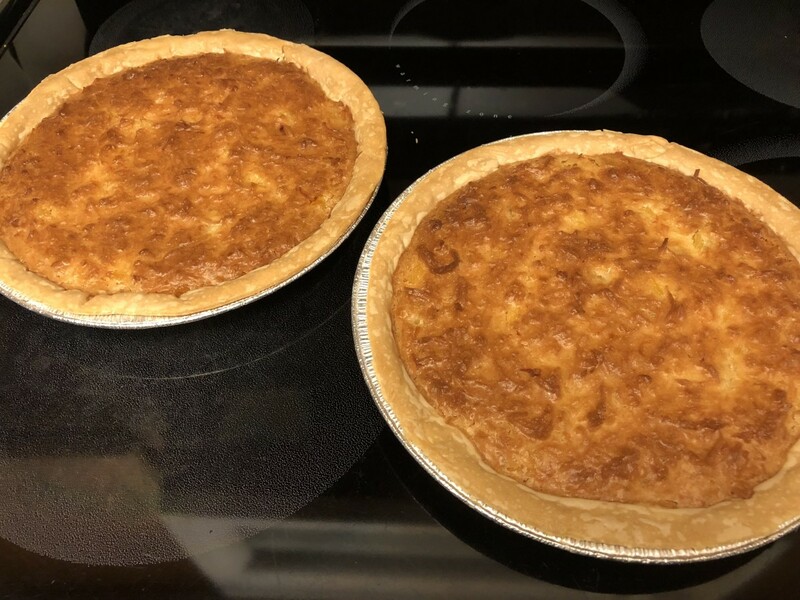 Bake pies at 350º for 30 minutes or until set. Pamela I had each of these pies countless times growing up. I can vouch for all of them. These pies all look delicious. I've never heard of pineapple coconut but I think it sounds wonderful. Thanks for some great recipes. DREAM I don't really enjoy baking, but these are all really easy. I wish I could eat the pictures.I will beg my wife to cook me one.I rather eat than cook.i think we will end up making it together. ethel, all are guaranteed to satisfy. 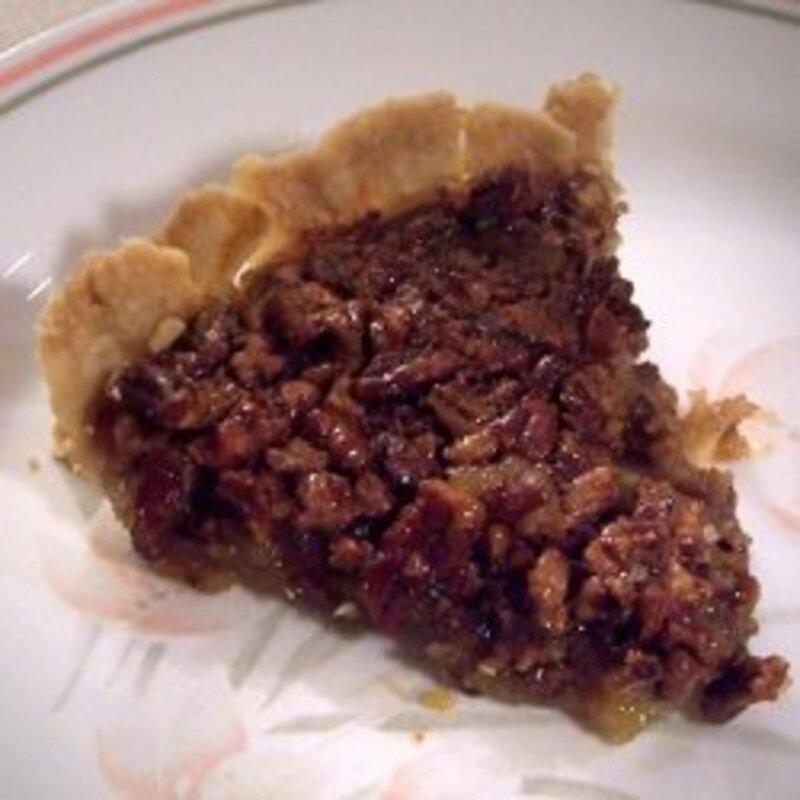 drbj this pecan pie recipe is very easy, but definitely tastes like Southern cookin' at its best. Lorlie I'm in Texas, so can usually still find the foods/ingredients I'm used to from S.C. In the military, there were usually "neighbors" from GA, NC, etc assigned to my clinic. We would 'divide and conquer' when bringing covered dishes to functions. 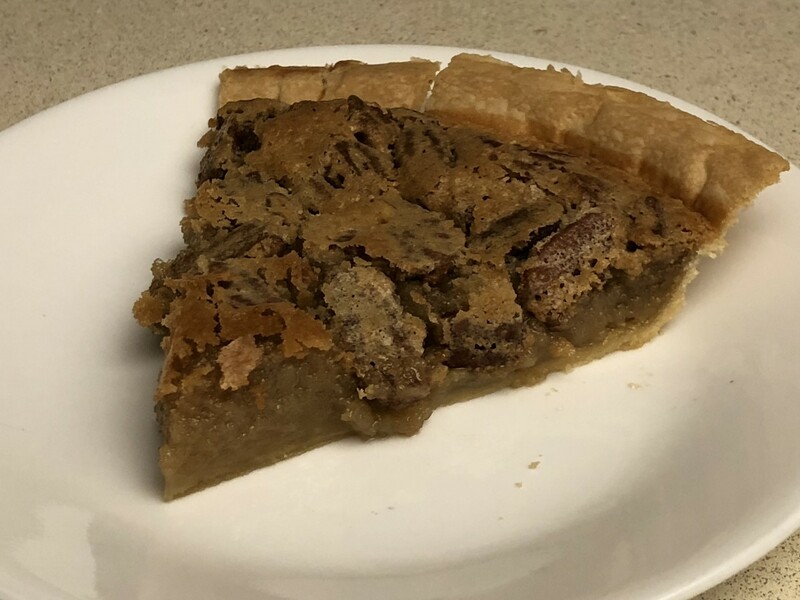 Hi, mcr - Although I consider myself more of a cake and cookie person, that pecan pie is calling my name. I may have to consider switching allegiance. Thanks, rmcrayne, I've been searching for a good pee-can recipe! Even though I live in California, I lived in Birmingham for 8 years and Lordy, how I miss the food!